Motley Crue will release an expanded 30th anniversary reissue of their 1987 album, “Girls, Girls, Girls”, on August 25. The band are sharing a video trailer for the project, which will be offered in a series of exclusive bundles, with more details to be announced in the coming weeks. The title track and lead single was a US Top 15 hit while the album peaked at No. 2 on the US Billboard 200 on its way to US sales of more than 4 million copies. Motley Crue wrapped up their 35-year career at the Staples Center in Los Angeles on December 31, 2015. The Final Tour consisted of 130 concerts around the United States, 16 shows in Europe, 5 shows in Asia, 6 shows in Australia region, and one in South America with a reported gross earnings of approximately 86 million dollars. 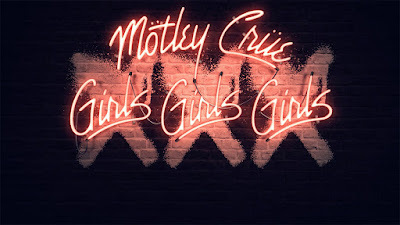 Motley Crue were formed in Los Angeles in January of 1981 by bassist Nikki Sixx and drummer Tommy Lee; the pair recruited guitarist Mick Mars and singer Vince Neil and released their debut, “Too Fast For Love”, in November 1981. The band went on to sell more than 100 million albums worldwide, including 25 million in the States alone.